Plans by Canadian regulators to reduce high-frequency traffic have been welcomed by some equity market participants, while others fear higher costs would prompt a flight of low-latency trading volumes to the US. In a consultation paper released in November, the Investment Industry Regulatory Organization of Canada (IIROC), which has oversight of debt and equity, proposed tariffs that would charge trading venues per message, rather than per executed trade. Passing these costs on could leave HFT firms facing sharply increased operating expenses, as strategies based on high cancellation rates become prohibitively expensive. The regulator justified the proposal partly on the grounds that it would help it recover the costs associated with increased levels of market surveillance. Jos Schmitt, CEO at Canadian alternative trading system Alpha Group, is supportive of the proposal, suggesting that it could lead to “more efficient” use of technology and “avoid abuse of trading platforms”. Alpha Group already sets volume thresholds on its own trading platform, preventing market participants from exceeding a set number of orders per second – a move that Schmitt argues helps separate the ”good' HFT firms from the ”bad' ones in terms of order-to-trade ratios. However Katie Walmsley, president of the Portfolio Management Association of Canada, expressed concern that, should HFT firms be subjected to the costs arising from the new rules, volume would “simply move” to the US, with negative implications for Canadian liquidity. In its response to IIROC, US market making firm Getco pointed out that the proposed fee model would require a market maker to pay a fee each time it updates the prices it displays on the public markets – meaning that new costs would have to be incorporated into a market maker's quotations, resulting in wider public market spreads. Meanwhile, off-exchange trading has also come under scrutiny, following the release of a paper on dark liquidity by the Canadian Securities Administrators (CSA) and IIROC in November 2010. The paper proposed that passive orders for less than a minimum size should not be exempt from pre-trade transparency, and that active orders below the minimum size must achieve meaningful price improvement over the national best bid and offer when interacting with passive dark orders. In addition, the paper suggested that visible orders should trade before dark orders at the same price. The minimum order size was not defined, but a measure of 50-100 standard trading units was under consideration. Incumbent exchange operator TMX is in favour of the proposals, calling into question the value of dark liquidity versus the traditional lit book. 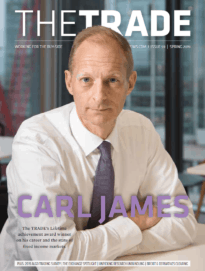 Some dark pools offer “really minimal price improvement,” Rob Fotheringham, senior vice president, equities trading at TMX told theTRADEnews.com. Pointing to the widespread use of internalisation in dark trading solutions, Fotheringham added that such platforms did not contribute to a robust marketplace. “We believe trading in the light is best and healthiest for price discovery,” he said. Other market participants took a different view. Schmitt at Alpha Group warns that the proposals increase the risk of information leakage. 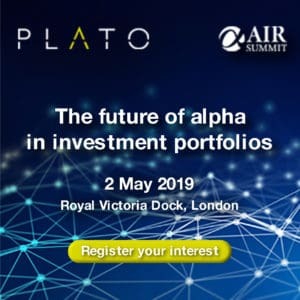 Alpha Group is currently planning to launch its own dark pool in Q2 2011, following alterations that were prompted during the regulatory review process. The new design abandons the internalisation model proposed in the original submission and is awaiting regulatory approval. “The minimum order size proposal is not something we support,” he said. “If someone is posting orders in the dark, and there’s a minimum order size required, as soon as a trade takes place people know that there is more volume available, and I don’t really think that is the objective anyone wants to achieve.” Schmitt suggests that forcing firms to stick to minimum order sizes would be unlikely to incentivise them to use dark venues, adding that “the risk is that flow will simply leave the Canadian market and go elsewhere”. Buy-side firm TD Asset Management, a subsidiary of fund manager Toronto Dominion Asset Management, added in its response to the consultation that regulation should only be implemented if it is clear that dark liquidity “inhibits the overall functioning of the markets” in a “material and quantifiable” manner. In contrast, the firm held that in its own view, dark pools generally benefit investors by reducing trading costs and encouraging innovation and competition. The request for comment on charging for message traffic was due to close on January 29, 2011, but responses were still being received in March. Meanwhile the consultation on the dark liquidity proposal closed in the final week of January 2011; regulators are due to release final proposals by the end of Q2 this year.